Win Cross Stitch Patterns from PatternSass plus a Free Pattern for Everyone! We’re happy to team up with PatternSass Cross Stitch to bring you a collection of unique cross stitch patterns, an interesting story and guest blog post from them, a fun contest so you can win a free bundle of 45+ cross stitch patterns, and a free bonus pattern for everyone, all for being a reader of the Minerva Crafts blog! People often ask about our interest in needlework. I feel comfortable to say for all of us that our love for needlework is borne from the accessibility of the art and the culturally rich traditions. I mean, any person, of any age and skill level can easily reap the rewards of a tradition spanning literally hundreds of years. Yet, we are amazed that modern digital artists have ignored the crafting art forms. They are creating world-class artwork for markets that I would consider crowded and so they are under-appreciated. So we set out to show digital artists how numerous and passionate stitchers and crafters really are. I wish we could tell you more about Irene Cvetnaya of Russia. She’s a very gifted illustrator but just had her first baby, so she hard to reach right now. Her work is featured in many digital design markets and used in website design, t-shirts, and marketing materials throughout Russia. Irene has a wonderful series of pin up girls and another called birds in winter hats that we’ve converted to cross stitch patterns. We'll share more about Christopher King of Bath, England. Chris owns and operates his digital design business, Wing's Art & Design, for 10+ years in the United Kingdom. His work is featured in HBO’s Boardwalk Empire, Computer Arts Magazine, and Advanced Photoshop Magazine and throughout the local UK market. “Once I have an idea in mind, I’ll immerse myself in everything I can find on that topic”. It’s easy to see the care and professionalism Chris dedicates to his illustration skills. Here are some of Chris’s illustrations. Another art style we’re exploring is Indonesian WPAP portraits. WPAP (Wedhas’ Pop Art Portrait) originates with a legendary artist from Indonesia, Wedha Abdul Rasyid. We love applying this modern technique to very iconic and historic portraits. We are often asked what is included with a pattern. It’s just easier to give you a free pattern to review, so here is a free cross stitch pattern on us. Our patterns contain a full-color chart indicating individual floss colors both visually and with an icon, image dimensions for different Aida fabrics so you can choose the correct size of stitching fabric, and a color photo for reference. All your supplies of Embroidery Threads and Aida Cross Stitch Fabric can be bought here at Minerva Crafts. Please enjoy the pattern and do share you’re comments with us. If you’ve downloaded the free pattern then you’re already entered. If not, you can download the free pattern and enter the contest here to win 45+ cross stitch patterns from us. We’ll end the giveaway contest in one week (the 11th of August 2017) and announce a randomly picked winner. 9 x "Indonesian WPAP Portraits" including JFK, Dean Martin, Frank Sinatra, Former President Obama, etc. This Christmas we have teamed up with the Sewing Directory to let several of you win your wish list to celebrate the festive season. With over 50,000 products to choose from you are sure to find plenty of sewing/quilting or craft supplies that you’ll want from the Minerva Crafts website. To enter simply comment on this blog post letting us know what you would put on your wish list (up to the value of £100). You can choose anything you like from the Minerva Crafts website. You will need to create an account if you don't have one already to be able to leave your comment. This will tell us your name and address, so we can send your prize out to you straight away should you be one of the winners! 3 people will be chosen at random to receive the goodies on their wish list! It’s as simple as that! 3 winners will be chosen at random to win their wish list to the value of £100. If your wish list is over £100 Minerva Crafts will chose which of the items on it to send to you. If any of the products chosen by the winners are out of stock Minerva will contact you to choose a substitute. The prizes can only be shipped to address in the UK or Ireland. All entries must be received by 6pm on Tuesday 22nd December. We're always really excited around this time because we love seeing the who's who and what's what of the sewing world for that year and 2015 is no exception! Season 3 of the Great British Sewing Bee was bigger and better than ever, and with the good old "Make do and mend" in full swing crafting is on the up and we love seeing everyone realizing how amazing making your own really is. I am in a very privileged working here at Minerva because I get to see and work in so many different aspects of the business so I'd like to share my insider knowledge with you all to let you know why I think you should head over to the Sew Magazine Awards page and cast your ballot for Minerva! I work with our website every day. Literally! Working with the correspondence from customers means I need to be able to see what they see and know how best to use the selling platforms to find them exactly what they want and let me tell you, our website is smooth as silk for finding just what you want. The idea behind minervacrafts.com has always been to be the one stop shop for all your crafting needs and to get them to your door so you can open your package and get making straight away! Our capacity for stock has doubled and it's filling fast with 1000s of new lines nearly every day. Need to colour match your thread to your fabric? We've done it. Need a cable needle for your Knitting Pattern? We've got 3 different types. Always wanted to try Punch Needle Embroidery? We've got kits, and extras! Snapped your last Sharps needle but don't want to pay over the odds to get something that cheap delivered? We've got shipping from just £0.99. Online shopping should be fast and easy and we think we're pretty good at it so if you agree please, Vote Minerva! As a Customer Service Rep. I'm going to be a bit biased on this one! What's makes the customer service great at Minerva is also what makes it challenging. We're all Human! No "press 1 for X, press 2 for Y". You call, we answer. You email, we type. You're always going to get a response as tailored as your hand-made blouse! This challenge comes with our rising popularity. Tailoring responses can take time so we're always working hard to get our little fingers typing faster! Customer feedback is key to our positions here and we've had so much from you all and Catherine, Rebecca and I love hearing it, both good and constructive! 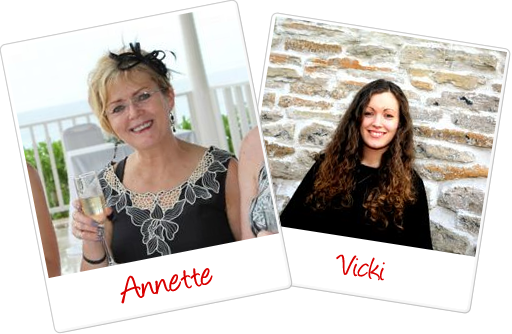 It's a real team effort here, sometimes you'll even reach the Office Manager Janine or the Sales Director Vicki if you call! Our service has gone from strength to strength in the past year, and our testimonials page shows it! I'll share a secret with you now; earlier this year our correspondence tripled! We don't know what happened, but we knew what had to be done. All of us, everyday, stayed until 6, 7, 8 pm getting these messages answered. You guys are so important to us and we always want to do our best, and when you have management like Vicki who's amazing at everything she touches we always have to up our ante! We aim to excel, so even on our bad days we're still better than the rest. If you agree please, Vote Minerva! Now I'm definitely biased on this one! Not only do I have the joy of working here with Vicki and Annette on the Minerva Blog I'm also Crafty Crafter for the Minerva Crafts Blogger Network. During the last Sew B.S.A. our Minerva Blog was just starting out as a little place for Vicki and Annette to communicate with the world about our blossoming company. Then the creativity exploded and we blossomed into a cacophony of crafting, with Guest Bloggers such as myself, Thalbobbins, and a special star rising soon! Our Tutorials page is bursting with tips and free patterns every week, and with the launch of our Pattern of the Week feature there's even more to write home about! Each week I post a product spotlight, scanning the blogesphere for fresh ideas for you all to try! Plus, with the new comments section you can all get involved in the fun. I love doing work for the Minerva Blog because it gives you all a chance to see a little side of us and what we do, what we're passionate about. It's a personal insight into the Minerva world that can only really be seen through the things we make and the giddiness that ensues! Setting our sights higher is the Minerva Crafts Blogger Network. Our bustling online community of worldwide crafters, each one posting monthly projects so you have something to read everyday. Us here at Minerva HQ are nothing short of addicted! Vicki gets the sneak previews of each of the posts so teases us when she walks in! As soon as our lunch breaks start we're straight on the page, "OO have you seen this?! OMG look at that applique!" and we can just hear Vicki giggling to herself in her office. She knows us too well! What I truly love about the Network is that it is a true community. Working at Minerva I always feel part of something much bigger than myself and when I joined the M.C.B.N. that feeling just intensified! To be rubbing cyber shoulders with some of the worlds best hobbyists is a true honour and to be featured next to them each month always surprises me! The Minerva Blogesphere is a place of pure inspiration for me. After reading through, or researching for posts, I always want to be better! With crafting you're only ever limited by your own imagination so to be able to go and read what people have made, and seen, and learnt, just widens your perspective and gives you ideas you'd never have earlier! I truly love the Minerva Blogesphere and if you do too please, Vote Minerva! "You're an Office Bod, surely you can't be a Shop Asst., too?" I can, and don't call me Shirley ;) All Office staff are trained Store Assistants so if you think you recognize us in store but not sure why, it's our voices! This means we can work seamlessly between distance sales and local customer queries and get the best of Minerva to everyone. Now we obviously think we're the Best Craft Shop in the world, but unfortunately the Awards aren't that general so we'll stick with "North of England" for now! Last year we had a big Meet Up Day and it was such a delight to meet customers and bloggers from all over the UK, and the World! We got feedback from so many people and it was an absolute honour to meet these people and knowing we've been part of their crafting journey was a really humbling experience. What was also amazing that year was winning "Best Independent Shop" in our local town in a competition run by our Local MP! If you've not had the chance to pop into store, or you a bit live too far away for a flying visit, do read all about us and have a gander at our Meet Up Day and please, Vote Minerva! So there you have it. My insider perspective on our company! Oh, did I mention that if you vote you have the chance to win £250 worth of sewing goodies?! As a crafter you have so much power in your hands, so use it to make the online crafting community harder, better, faster, stronger by voting in the British Sewing Awards, and if you think we deserve it, type Minerva into the boxes! Must Dash, Sew you Soon!